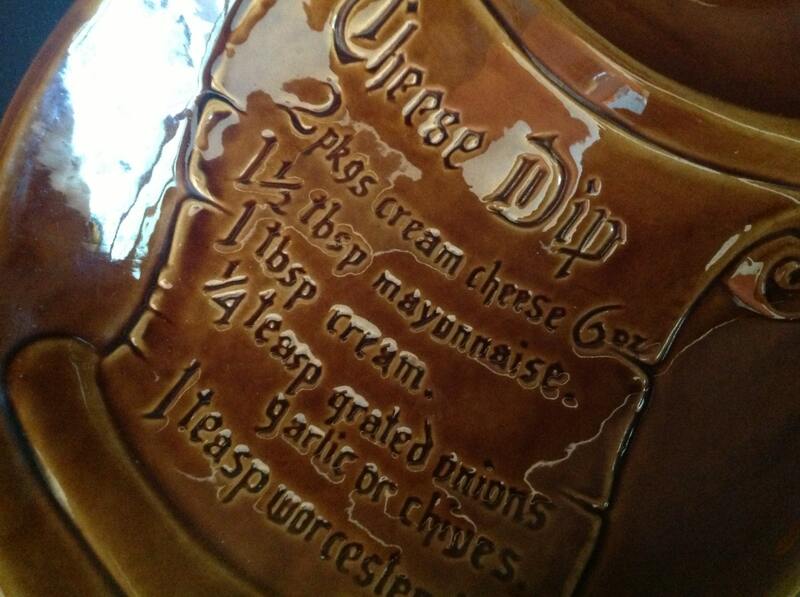 Offered is a mid-century cheese dip bowl. 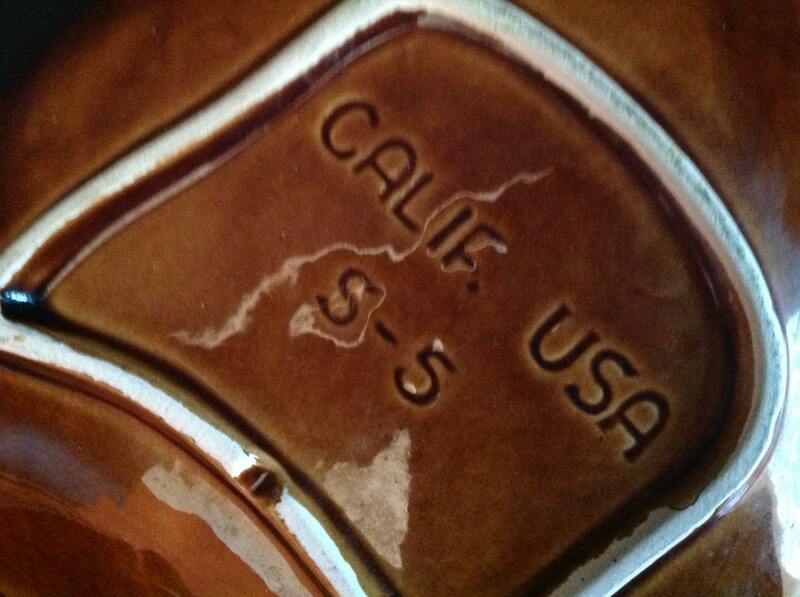 It is marked on the bottom "Calif. USA S-5". It features a translucent gloss brown glaze. 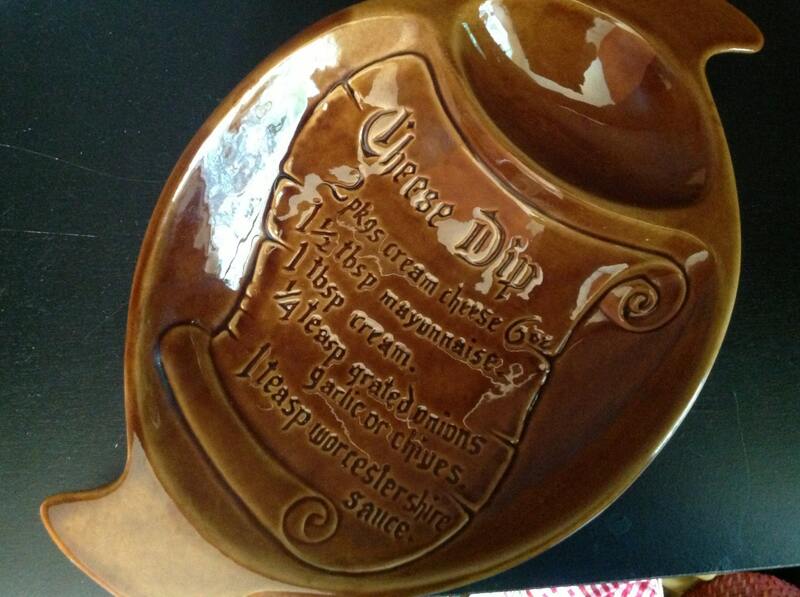 A recipe for cheese dip is imprinted on a scroll on the front bottom of the bowl. The bowl is divided into two. Two handles have an interesting shape. Condition is excellent but does have a lovely crazing.